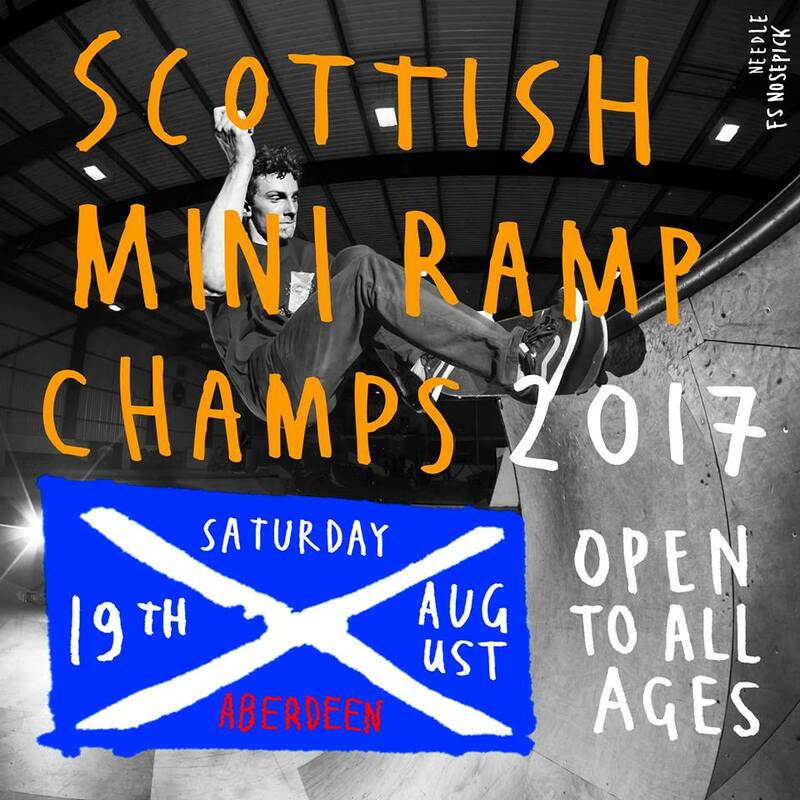 The annual Scottish Mini-ramp championships are taking place on Saturday 19th August at Transition Skatepark in Aberdeen. 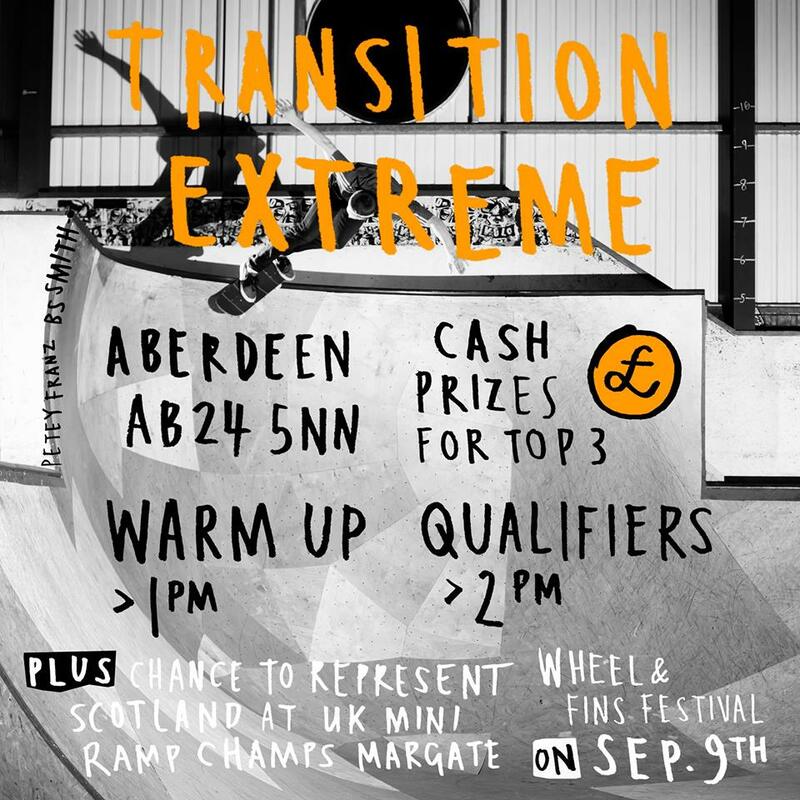 Cash prizes for the top 3 qualifiers and also a chance to represent Scotland at the UK mini-ramp champs at the Wheels & Fins festival in Margate, England on September 9th. Warm-up starts at 1pm, Qualifiers start at 2pm. 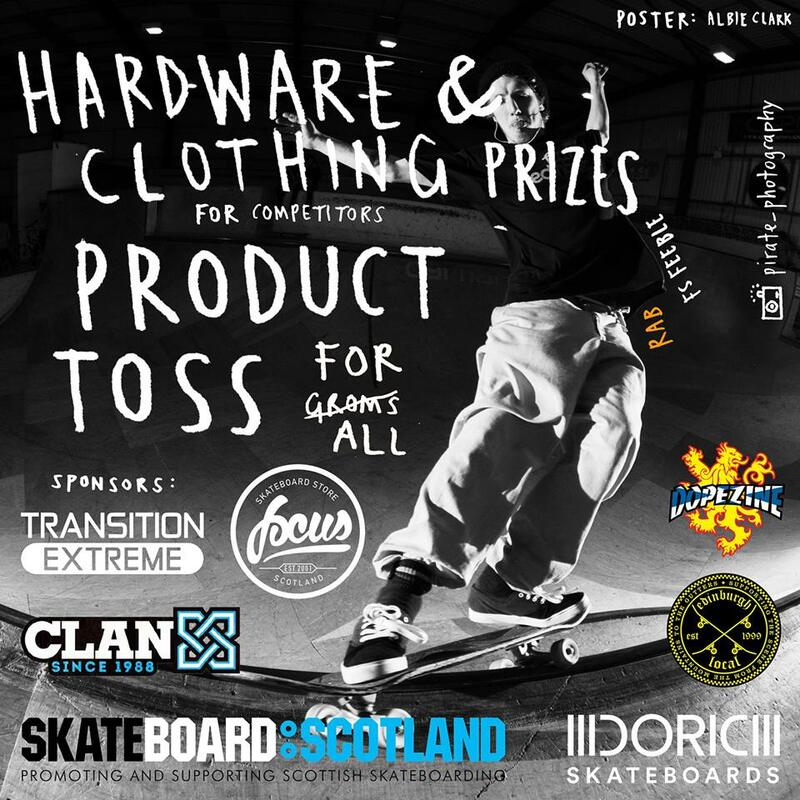 Sponsored by Focus Skateshop, Transition Skatepark, Clan Skates, Skateboard Scotland and Doric Skateboards. Click here to download an A3 event poster.